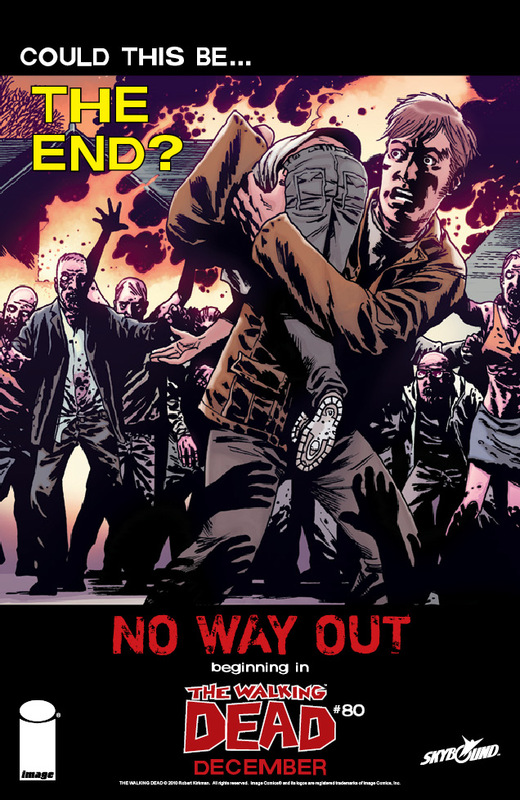 The Walking Dead ‘No Way Out’…..is this the end for Rick Grimes? 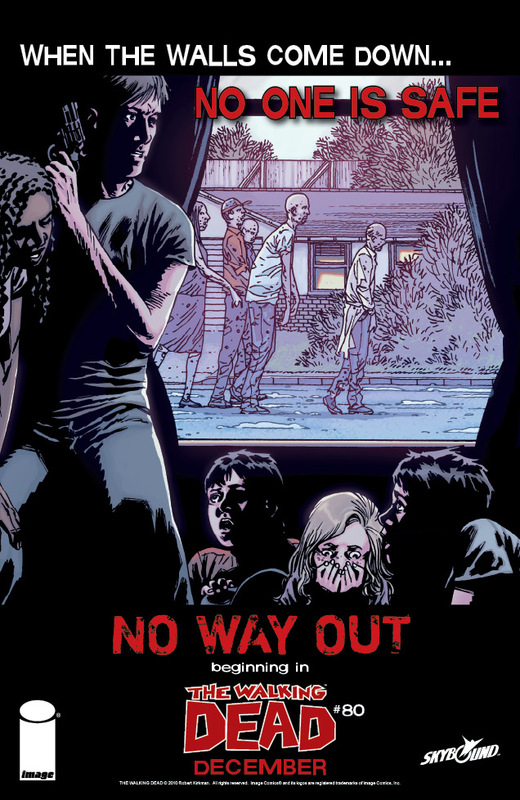 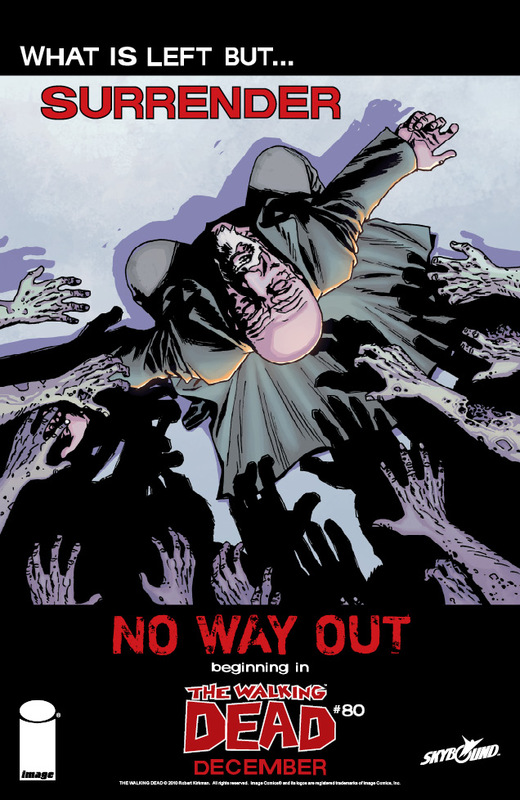 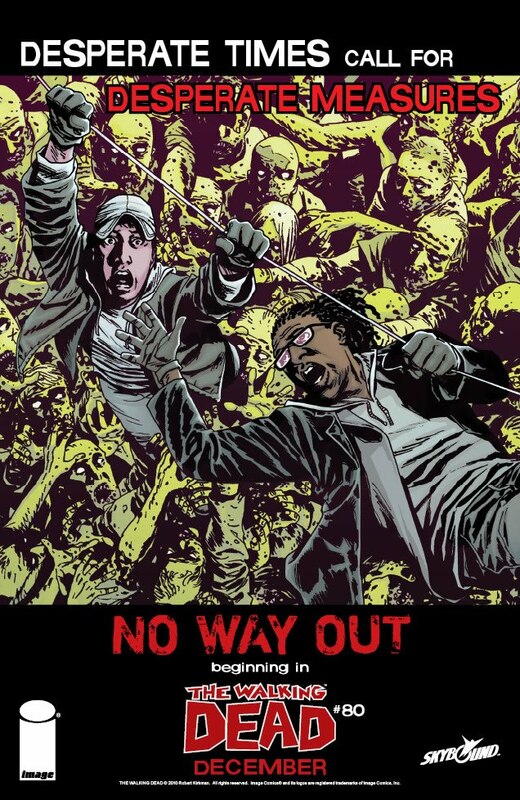 Just to round off this months Walking Dead coverage, another ‘No Way Out’ teaser – and the most dramatic yet. 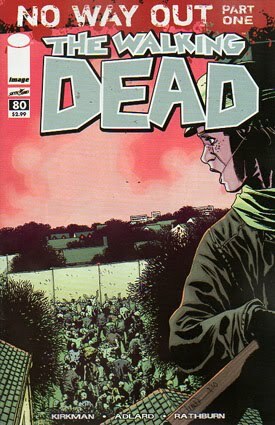 Adlard is, again, at the top of his game with this fantastic image. 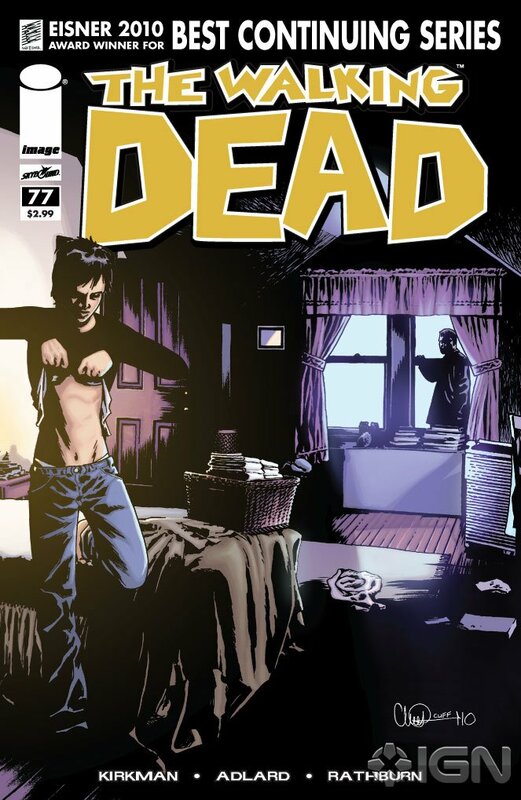 Appetite well and truly whetted…..